Completed in 1928 at 433 S. Spring Street, the 11-story structure will offer 320,000 square feet of rentable space atop ground-floor retail upon completion later this year. 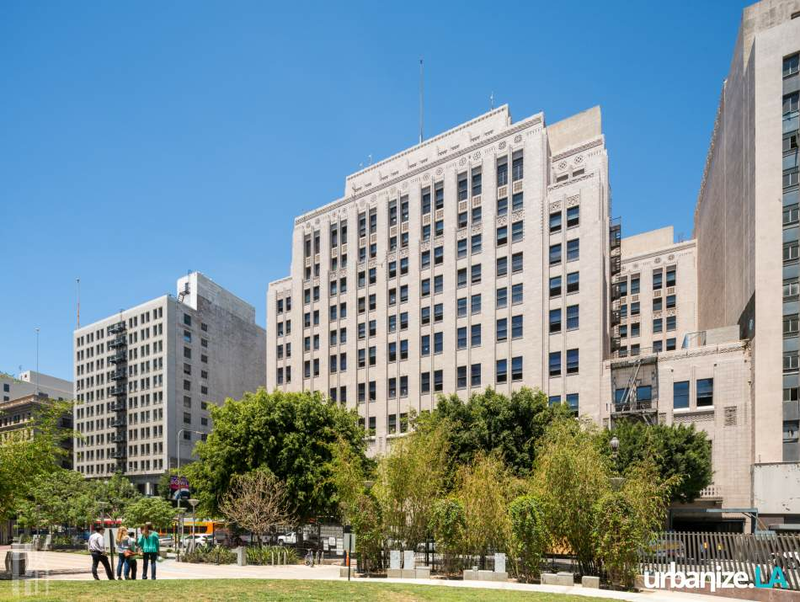 Originally known as the Title Insurance and Trust Building, it is being redesigned by a team that includes Gensler and Architectural Resources Group to make the vintage property appeal to modern tenants. Designed by Parkinson & Parkinson, the Art Deco building was named for its signature tenant - the Title Insurance and Trust Company, one of the earliest and most prominent Southern California title insurance companies. Title Insurance called the building home from its opening in 1928 until decamping for the Miracle Mile in 1977. It also served as a temporary home for the Los Angeles Central Library, while its main facility was under restoration and expansion following a disastrous fire in the 1980s.